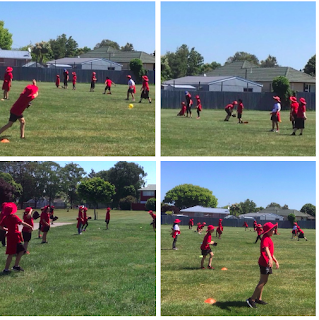 We have been learning how to catch using a mitt. We can catch a 'fly-ball' and a ball along the ground using our gloves like an alligator mouth. Having three quarters of an hour out in the sunshine and fresh air feels great and we are having heaps of fun!